Irena Georgieva is a graduate of the Sociology Department of the Sofia University “St. St. Kliment Ohridsky” and has been awarded a golden medal for academic excellence and active public engagement by the university. Almost her entire professional career has been closely linked to tourism. She has extensive managerial experience of almost 25 years in the sector as manager of tourist agencies. She has gained multiple tourism-related certificates which testify to her extensive expertise in the field of tourism. 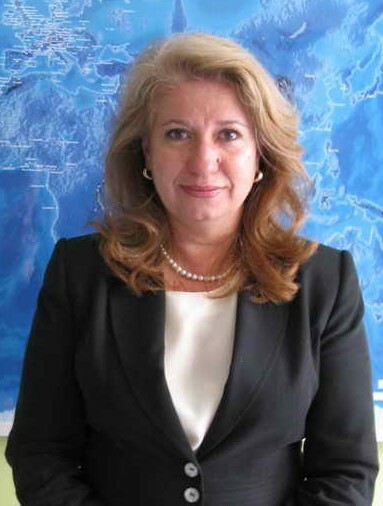 Since 2006 to her appointment as Deputy Minister of Tourism of the Republic of Bulgaria she has been a member of the Board of Directors of the Association of Bulgarian Tour Operators and Travel Agents (ABTTA) and from 2009 until 2013 she has been chair of the Board of Directors of the association. Irena Georgieva is an acknowledged international tourism expert whose experience is highly valued by her colleagues abroad. From 2009 till her appointment as Deputy Minister of Tourism she has been a member of the Board of Directors of the European Travel Agents & Tour Operators Associations (ECTAA) and she has been both director and deputy director of the organization. She has also been president of ECTAA from 2010 till 2012. She speaks Russian, French and English. Lyuben Kanchev was born on 28 February 1955 in Sofia. He graduated in French Philology at the Sofia University "St. Kliment Ohridski "and as a second major - Bulgarian Language and Literature. He has a qualification from the Danish Business and Management course "Horsens Polytechnic". He is a member of the Union of Bulgarian Journalists. Lyuben Kanchev has been working for 32 years at the Bulgarian National Television in various positions - from an editor to a long-term delegated producer and editor-in-chief. a winner of authoritative creative awards. For seven years he was the head of the Bulgarian delegation for the largest European music TV project - the Eurovision Song Contest. Since 2012 until his appointment as Deputy Minister of Tourism, Lyuben Kanchev is Deputy Mayor of Culture, Social Activities, Education, Sports and Tourism in the Municipality of Kostinbrod. His work there was connected with various social and cultural projects, including the legalization, restoration and socialization of the archaeological excavations of the largest residence of Emperor Constantine the Great, known as Sretiska. He speaks French, English and Russian.